This December as we celebrate our 5th Anniversary, the AIA Carnival will be introducing a futuristic new look – the same traditional Carnival – with new attractions, games, and activities! 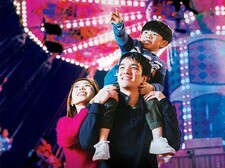 We are going “above an beyond” to light up the Central Harbourfront day and night with fun and entertainment. Check out our website for the latest information, events, and promotions.